Dr. Madden joined the practice in 2000. He graduated from the University of Nebraska in Lincoln in 1991 with distinction and received his M.D. from the University of Nebraska Medical Center in Omaha in 1996 with distinction, where he also became a member of the Alpha Omega Alpha honorary medical society. He completed a three year Family Medicine residency at the University of Nebraska Medical Center in Omaha in 1999, where he served as a clinical chief resident. Additionally, Dr. Madden completed a Sports Medicine fellowship at the University of Pittsburgh Medical Center at Shadyside Hospital in 2000. Dr. Madden is certified by the American Board of Family Practice, and is also board certified in Sports Medicine. He has a special interest in general family practice, including pediatrics and newborns, health promotion and disease prevention, and sports medicine. On a personal note, Dr. Madden enjoys mountain biking, trail running, backcountry skiing and snowboarding, hiking, mountaineering, and just about anything outdoors! He also enjoys reading, spending time with his family, traveling, building bikes, fixing things, and practicing yoga. Extra-curricularly Dr. Madden enjoys teaching residents, writing, volunteering at an under-served clinic, and he serves as an officer and committee member for 2 national sports medicine organizations. Dr. Myers joined the practice in 2012. She graduated from Marquette University in 2002 with distinction and received her M.D. from University of Iowa in 2008. She completed her family medicine residency at the University of Colorado – Denver Health in 2011, where she served as clinical chief resident. Additionally, Dr. Myers completed a Sports Medicine fellowship at the University of Notre Dame in 2012. Dr. Myers is certified by the American Board of Family Practice, and is also board certified in Sports Medicine. She has a special interest in family practice, sports medicine, adolescent medicine, and preventive medicine. Dr. Myers enjoys living in the community and volunteering as team physician for Skyline High School athletics and at a local underserved clinic. She enjoys cycling, hiking, snowboarding, traveling, and spending time with family and friends. 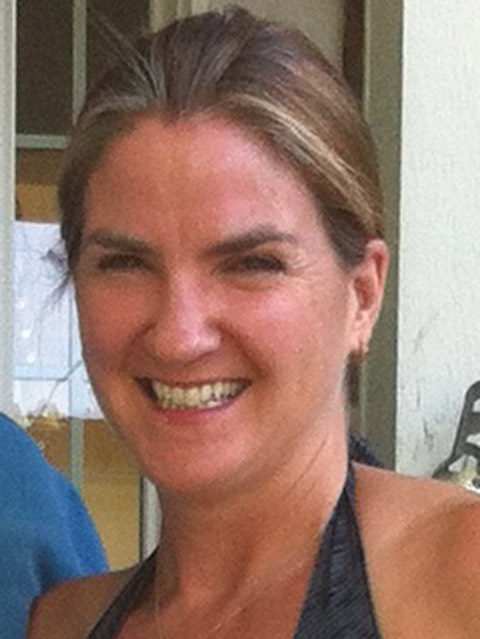 Dr. Traister joined the practice in 2014. He graduated from Hendrix College in 2005 and received his M.D. from University of Arkansas in 2010. He completed his family medicine residency at Rose Family Medicine-University of Colorado in 2013, where he served as chief resident. Additionally, Dr. Traister completed a Sports Medicine fellowship at the University of Notre Dame in 2014. Dr. Traister is certified by the American Board of Family Practice and is board certified in Sports Medicine. He has a special interest in general family medicine, preventative medicine, healthy living, and sports medicine. When he’s not in the office, Dr. Traister enjoys watching and playing sports of all kinds. His main ones are basketball and competitive Ultimate Frisbee. He also enjoys weight training in the gym, yoga, and is an avid movie watcher. Allison Mitas joined the practice in 2015. She graduated from Appalachian State University in 1999 and then completed her BS in nursing at Duke University in 2004. She worked as a nurse in the Medical ICU at Duke University Medical Center for 5 years before completing her master’s degree as a Family Nurse Practitioner at the University of North Carolina, Chapel Hill in 2010. Allison is nationally certified as a Family Nurse Practitioner by the American Association of Nurse Practitioners. She enjoys caring for patients of all ages and has a special interest in weight management, asthma, and providing preventative medicine. Allison enjoys spending time with her family, hiking, baking, gardening and practicing yoga. A move from North Carolina in 2013 has kept her and her family busy traveling on many weekends to explore Colorado, New Mexico, Utah and Wyoming. Allison Fostveit joined the practice in 2017. She graduated from the University of Colorado in 1993 with a BS in Kinesiology. She then went on to complete her BS in nursing at Syracuse University in 1998. She worked as a nurse from 1998 to 2014 in several areas including ICU, ER, management and recovery room. She graduated from Regis University in 2014 with her master’s degree as a Family Nurse Practitioner. From 2014 to 2017 she worked as an NP in nephrology. Allison is nationally certified as a Family Nurse Practitioner by the American Nurse Credentialing Center. She enjoys caring for patients of all ages in all stages of life. In her free time, Allison enjoys spending time with her family and friends, volunteering, running, reading, and watching TV. Dr. Keeling joined the practice in 2018. He graduated from the University of Colorado with honors and distinction in 2011 and then received his M.D. from Eastern Virginia Medical School in 2015. He completed his family medicine residency at Rose Family Medicine-University of Colorado in 2018, where he served as chief resident. Dr. Keeling is board certified in Family Medicine by the American Board of Family Medicine. Dr. Keeling has a passion for primary care with keeping patients happy, healthy and out of the hospital. He also enjoys all facets of family medicine, including newborns, pediatrics, women’s health, preventative medicine and geriatrics. Outside of medicine, Dr. Keeling enjoys just about any activity with his family. They enjoy hiking, running, biking, eating the spiciest foods available, building puzzles, reading and cooking. He also enjoys playing fetch and distance running with his yellow lab. In order for us to take the best possible care of you we need to maintain our mental and physical health. This means time for rest and recreation or time with our families and friends. Therefore, we will share responsibility among ourselves for taking calls for our patients. Please call us after hours only in cases of significant concern or true emergency. We very much enjoy what we do and we take pride in being Family Doctors. We want to provide the best service for you that we can. Any thoughts, suggestions, or comments you have about our care or office are welcomed by each of us.